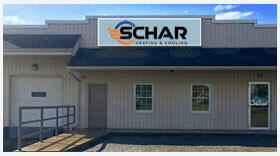 Schar Heating & Cooling, Inc. is proud to serve the Canal Fulton community! About Canal Fulton, OH - Happy to be your hometown Heating & Air Conditioning Contractor! Historic Canal Fulton is nestled along the Tuscarawas River and Ohio and Erie Canals in Stark County, Ohio. Approximately 5,500 people call the community home, and its history dates back to the early 1800s. Canal Fulton is conveniently located 23 miles south of Akron, and it is only 47 miles south of Cleveland, so residents enjoy quiet suburban life with all the amenities of nearby big cities. Tourism has become a major component to commercial life in Canal Fulton. Rides on St. Helena III, one of the last few working canal boats in the state, draw visitors from all over the region. Canal Street is home to many quaint shops, including Canal Fulton Speak Easy and the Dragonfly Tea Room and Gift Shop. Family entertainment is available at Sluggers & Putters Family Fun Park and the Canal Fulton Canoe Livery, while history buffs may prefer a trip to the Oberlin House, Old Canal Days Museum, or the Ohio & Erie Canal National Heritage Corridor. Canal Fulton residents, especially those who enjoy outdoor recreation throughout the year, will like the four distinct seasons experienced in the area. Summers in Canal Fulton are warm to hot with high humidity. Average temperatures reach the low-80s in July and August, but thermostat readings into the 90s are also common. The right cooling system – in particular, an energy efficient central air conditioner – can dramatically improve comfort levels at home. Winters in Canal Fulton are snowy and cold, and average daily highs are hard-pressed to reach the freezing point in January. A gas or electric furnace is a necessary piece of equipment in area homes and businesses. Fortunately, there are many energy-efficient and affordable options out there. By selecting the right system, Canal Fulton residents can stay safe and warm at home all while ensuring their monthly utility costs stay affordable.